Star War: The Last Jedi is easily one of the most divisive Star Wars movies ever made, which is slightly surprising. Here’s why we thought it wasn’t the Star Wars film we were expecting. Disappointment is, to be honest, a fairly common emotion for any long-suffering Star Wars fan. Inevitably over a series that has now stretched to nine films, not every release is going to live up to expectations. Some of those disappointments have been relatively minor – Return of the Jedi may have been obviously inferior to its predecessor The Empire Strikes Back, but it’s still a perfectly decent film. Other let-downs have been more acute – many Star Wars aficionados will remember that sinking feeling they felt when first watching The Phantom Menace. But I wasn’t expecting to feel that way about The Last Jedi, not least because I really enjoyed 2015’s derivative but highly entertaining The Force Awakens. And it was written and directed by Rian Johnson, who with Looper proved just how capable and engaging a sci-fi filmmaker he can be. I went into the theatre full of good will – I wasn’t expecting The Last Jedi to change my life or reinvent the wheel, but I was expecting to have fun. And for the first few minutes at least, there was indeed plenty of fun to be had, as the First Order, led by General Hux (played by Domhnall Gleeson with such pleasingly campy villainousness that it felt like he should have been wearing a top hat and twirling a moustache with every order), descend on a Rebel base. There’s thrills. There’s spills. There’s X-wings and Tie fighters. There’s tension and sacrifice. The Last Jedi, I thought, was everything I wanted it to be. And yet, an hour later, that familiar sinking feeling was back. It was all going badly wrong. What had happened? Where had everything gone awry? 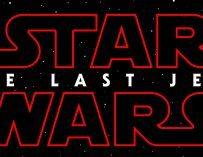 The Last Jedi’s main problem is that it is essentially two films in one – and one of those films is much more interesting than the other one. 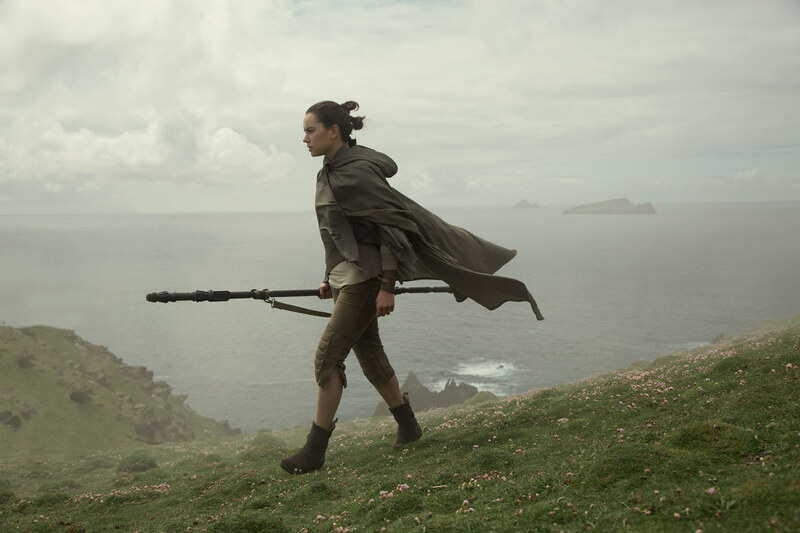 The better of the two sees Daisy Ridley’s Rey track down Luke Skywalker to the remote island where he has exiled himself after failing to stop the fall to the dark side of his one time student, Kylo Ren. 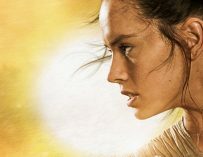 There has been criticism of the choices Johnson has made for Skywalker in The Last Jedi (not least some public discontent from Mark Hamill, Mr Skywalker himself) but this plot strand, which sees Skywalker reluctantly agree to train Rey in the ways of the Jedi, is the part of The Last Jedi that works best. The scenes between the two include most of the film’s warmth and heart, as well as some of the funniest lines. Hamill has never been better than he is in this movie, and his cantankerous, cynical Luke makes a nice contract to the idealistic but naive Rey. 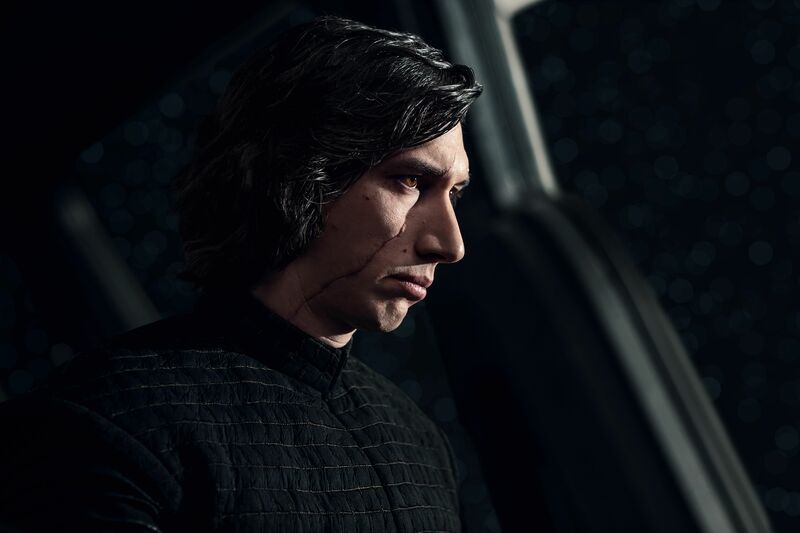 This strand also finally allows Kylo, a slightly disappointing character in The Force Awakens, to come into his own, not least thanks to a terrific performance from Adam Driver who commits to the role utterly and completely – he’s convincing as a man who’s fury and anger hide deep emotional vulnerability. Kylo has history with Luke, and one of the film’s best story beats comes when we realise that his ultimate fall to the dark side was precipitated by a near-assassination attempt from none other than Luke himself. It’s a pleasing shade of grey in a series that’s often been black and white – after all, who can blame a guy for turning on his teacher if his teacher tried to kill him first? But the film’s best scenes are those between Kylo and Rey, after they develop a telepathic connection that allows them to speak to each other through shared visions. Both seem to see, across the light side/dark side divide, a kindred spirit in the other. Their scenes together are unfailingly intense and energetic, and they culminate in a throne-room showdown that is not just the best sequence in The Last Jedi, but one of the best in the whole series. If The Last Jedi’s focus was purely on Luke, Rey and Kylo, it would be a much better film. Unfortunately, Johnson insists on spending time elsewhere, as the depleted rebel fleet attempts to flee to safety, with the First Order in hot pursuit. I say hot pursuit. What we are actually treated to is the slowest chase scene in cinema, one that lasts a good three quarters of the film’s run time. Which perhaps wouldn’t matter if this strand was exciting, or contributed to the plot in any way. It does neither. Let’s start with the lack of excitement. For a ticking clock mechanism that’s meant to be about life or death – will our heroes survive? Or will the Resistance finally meet its end? 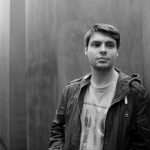 – it’s curious how unengaging and dull these scenes are. As the minutes drag on, the scenes of the First Order ships firing on the fleeing resistance fighters increasingly lose impact. The first time a resistance ship blows up, it’s a clear sign of peril. By the fifteen time one blows up, I was checking my watch. Oscar Isaac’s Poe Dameron, a hot-shot pilot who’s been involved in some of the sequel trilogy’s most exciting moments up to this point, is reduced to throwing tantrums and bickering with a glamorous Resistance commander, played by Laura Dern with a pained luck on her face, as if she’s finding this is as excruciatingly tedious as I was. Carrie Fisher puts puts in a wonderfully careworn performance as Leia, and she will be missed in Episode IX. But she spends much of this section literally asleep. I didn’t blame her. But perhaps even more damaging is how little this plot strand contributes to the over-arching story. Plot points are thrown in and then resolved with virtually no impact. A mutiny occurs, is quashed, and then everyone goes back to being friends within the space of about fifteen minutes. John Boyega’s ex-Stormtrooper Finn, along with Kelly Marie Tran’s plucky engineer Rose, go on a forty-five minute wild goose chase to a Monaco-style alien casino that turns out to be almost comically irrelevant in the grand scheme of things (other than a brief mention of the fact that the rebels are being funded by amoral oligarchs, an interesting idea that the film never mentions again). It is not an exaggeration to say that virtually everything that happens during this chase sequence, between when the rebel ships first begin their flight and Dern’s final climactic showdown with a First Order vessel over an hour later, could have been excised from the film with zero consequence. It’s a script-writing failure of the highest order. Some films contain a lot of filler. Sometimes The Last Jedi feels like it’s pretty much all filler. The Last Jedi also misses opportunities to develop some of the characters it introduced in The Force Awakens. We still know frustratingly little about the stormtrooper captain Phasma, which undermines the film’s attempts to build her up as a key antagonist. Likewise, having built up Supreme Leader Snoke as an Emperor Palpatine-like Big Bad in Force, The Last Jedi utterly wastes him. Andy Serkis is gloriously malevolent as the Supreme Leader, but we get no sense of his backstory, or how exactly he’s become the most dangerous man in the galaxy. His speedy demise (a good half hour before the end of the film) makes you wonder why they bothered introducing him in the first place. It also deprives the sequel series of its most sinister character – while The Last Jedi rescues Kylo and Hux from being the slightly impotent characters they were in the first film, they’re still callow, highly strung and prone to acts of profound stupidity – they’re mere shadows of the likes of Darth Vader and Grand Moff Tarkin from the original trilogy. Without Snoke pulling the strings behind them, it’s hard to take them too seriously, and it feels like that’s going to hamstring Episode IX. And, like far too many films that incorporate magic powers, The Last Jedi treats the Force as a get-out-of-jail free card when it wants to. Much has been made already of Leia’s Mary Poppins moment, but, silly though that scene is, it’s ultimately rather harmless. 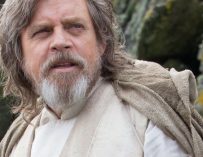 More problematic is Luke’s display of hitherto unseen powers in the film’s finale, which essentially allow him to project himself across the galaxy and avoid all harm. It’s not a power the series has ever indicated that the Jedi possess before, and its use here feels like cheating. 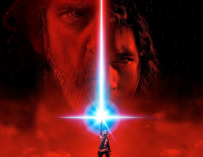 Much has been made of the way Johnson deliberately, and some would argue ruthlessly, distances The Last Jedi from the Star Wars franchise’s history – Luke’s exile and his death (perhaps) in the finale have proved particularly controversial. But it’s not Johnson’s sacrilegious approach to the franchise’s sacred cows that bothers me – indeed, his insouciant iconoclasm is arguably a breath of fresh air for a franchise that is often indulged with a little too much reverence. 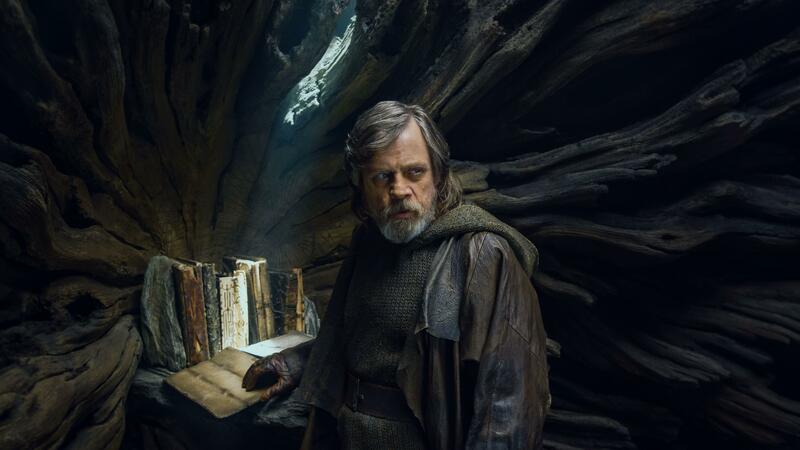 No, The Last Jedi’s failings are more prosaic – it is a bloated, badly written and criminally boring effort, one that spends an awful lot of time saying very little at all. The porgs were great though.